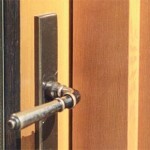 A closeup look at a door frame made with Herbert Lumber products. 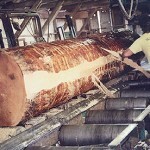 Each board is hand-graded to ensure the highest quality. 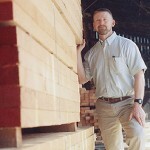 The finest custom products begin with our selection of the finest grade Douglas Fir timber. 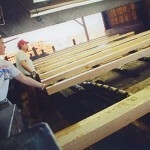 Lynn Herbert oversees the small mill his father, Milton, started in 1947. 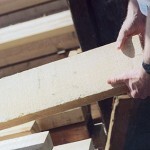 Each board must pass rigorous visual inspection to ensure complete customer satisfaction. 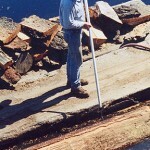 Our use of an old-fashioned log pond allows us to take advantage of the natural buoyancy of Douglas Fir for efficient handling and preservation.